Largest Online Personalised Printing and Gifting Store in India- 100yellow.com: Why Do You Need Translucent Business Cards To Promote Your Business? Why Do You Need Translucent Business Cards To Promote Your Business? With so many options available with business cards these days, it really becomes very difficult to select the best suited one for you and your business. However, since you are looking for creating a long lasting and memorable first impression on your potential clients, you should consider buying translucent business cards. Unlike traditional business cards, these will give that extra touch of elegance and flair which is surely going to make your company stand out of the crowd. One of the most important aspects that is usually in every business person’s mind is to present their business and their selves in a different and unique manner. 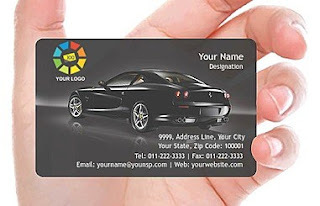 This business card is going to give you this chance and that too in most impressive manner. In fact, right from creating sound and long lasting impression on client, this card will provide your business a number of benefits. The card reflects professionalism which automatically gets replicated throughout the business. You simply need to find a frosted business cards manufacturer that is reliable and is capable of providing quality business cards at reasonable price. As soon as you hand your card to your client, he will get curious of the design and will surely read the entire information provided over there. Your half work gets already done by that time. After all, you do not have to detail everything and try to impress your client with your words and assurances. Translucent business cards have done this job for you by now. The card are lightweight, waterproof as well as helps remove stains instantly.